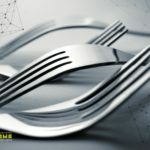 The disputes between Bitcoin ABC and Bitcoin SV devs may lead to a split of the blockchain Bitcoin Cash cryptocurrency (BCH). Technical update of the network will be implemented today, however, the war between the two companies will not stop. "Miners kill off a chain. That is the miner’s right. This is what bitcoin is." Bitcoin ABC and Bitcoin SV suppose to control 51% of the blockchain hash rate, in which case they will be able to attack the competitor and, probably, even destroy it. If this happens, we will be able to test in practice the term "an honest majority" proposed by the creator of Bitcoin Satoshi Nakamoto. According to the Bitcoin documentation, network security is guaranteed only if at least 51% of the network nodes function "honestly" without harming the blockchain. If hard fork leads to a blockchain split, then the two created cryptocurrencies will fight with each other until one of them is destroyed. The fact is that Bitcoin SV and Bitcoin ABC refused to add a code to protect transactions to their customers, which means that users can lose money if they make transfers to a split network. How will the fighting involve in the Bitcoin cash blockchain? At the moment, Bitcoin SV exceeds Bitcoin ABC in hash power, so SV will try to put ABC work. 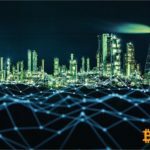 SV miners may start to mine empty blocks (not containing transactions), as a result it will lead to cancellation of transactions in the BCH network. However, the extraction of empty blocks will cost a pretty penny: miners will lose 12.5 BCH coins from each block. If Bitcoin SV gains control over 51% of the blockchain hash rate, it can conduct a double-spend attack, which involves the creation of blocks containing fake transactions. 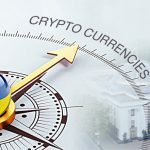 In addition, in the arsenal of Bitcoin SV there are other types of attacks: DDoS, route (network-partition attack), block (poison-block attack), as well as “Shotgun Satoshi”, creating up to 800 spam transactions per second. 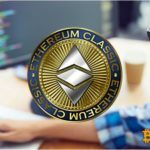 There is a chance that companies will compete in a fair fight, like, for example, Ethereum and Ethereum Classic. We will find out which way companies will take in the near future, but for now we can only wait and hope for the best. © 2018 bit.news | queries 228, for 0.499 sec.